This is a beautiful red and white grosgrain ribbon wrapped into a French knot in the center with the same ribbon. 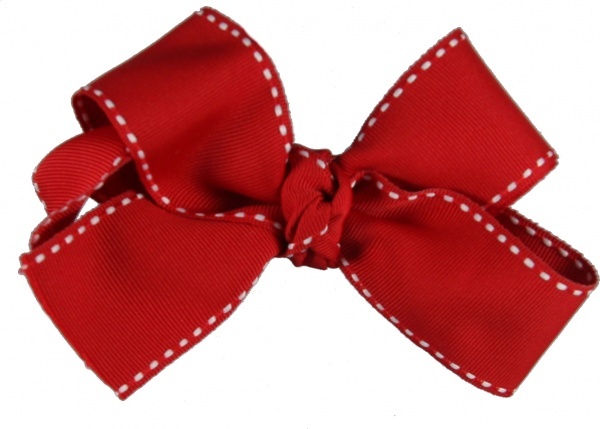 This is a red ribbon that is lined on the sides of it with white lines that are called a saddle stitch. These colors are great for everyday outfits and also for any Patriotic Holidays.